Additional sizes available. Call for pricing. All prices subject to change without notice. *Super Duty Upgrade: Additional four rows of vertical zig-zag stitching on fly end PLUS corner patches also with zig-zag stitching. Can be added to any flag EXCEPT the collegiate flags. 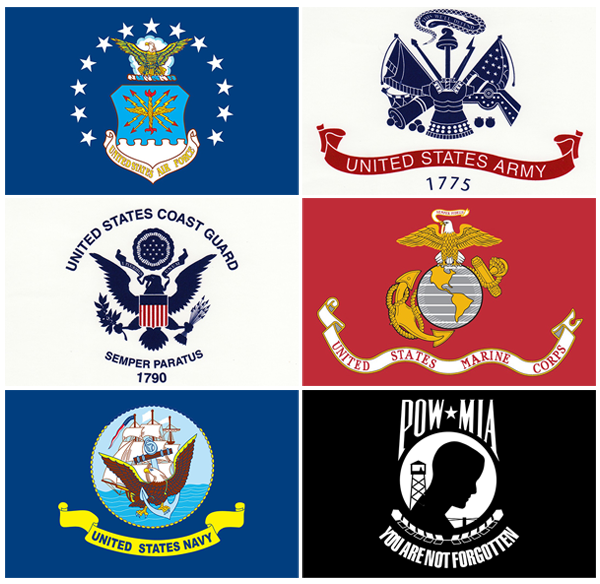 We are an authorized dealer with Eder Flag Manufacturing Company, Inc., the largest flag and flagpole manufacturer in America. See the catalog at ederflag.com. Found a flag for less? Let us know! Our competitive price matching makes us the best value around. 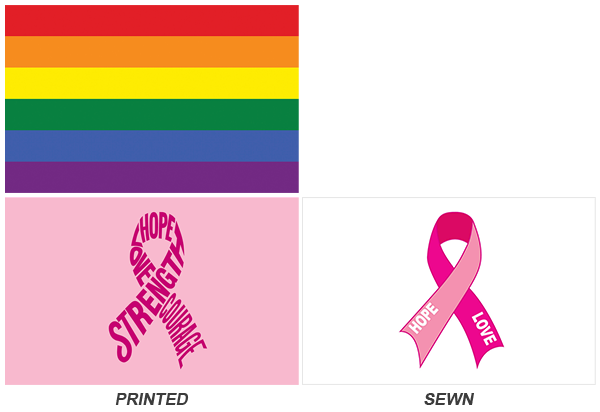 A portion of each pink ribbon flag sale will be contributed to help the American Cancer Society®*.